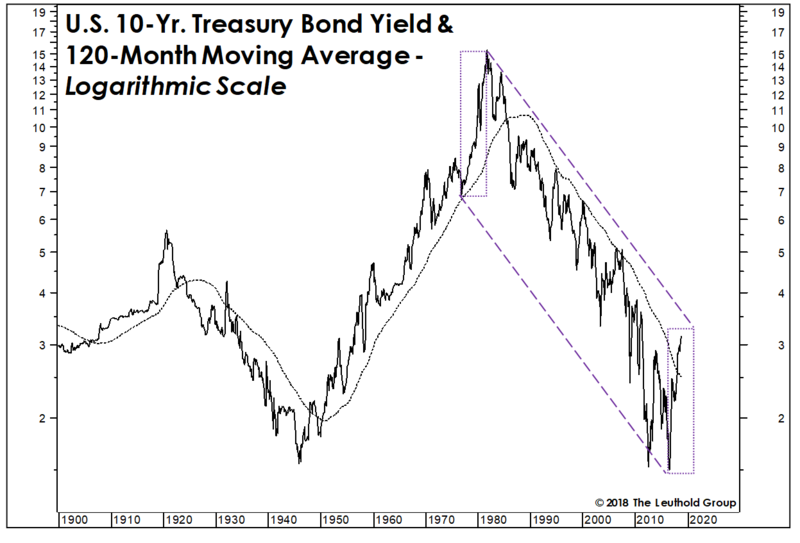 The doubling of yields since 2016 has slammed a sector that’s widely viewed to have been well-behaved in this cycle: households. After shrinking balance sheets and rebuilding liquidity during the first half of the expansion, households have managed to borrow their way back into a very precarious position. 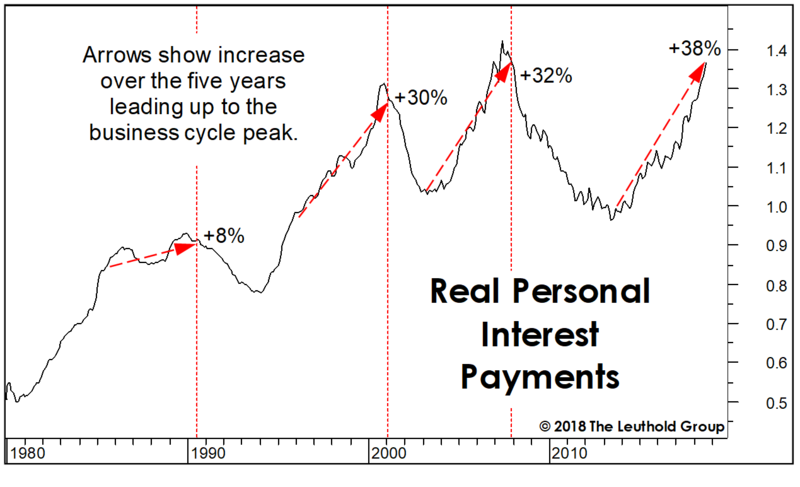 Thanks to the huge percentage increase in rates, the rise in real interest payments over the last five years is now exceeding that seen at the last three business cycle peaks.